Softer and whimsical, this security blanket is oh so sweet for any baby! 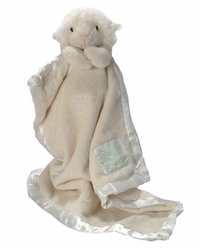 Lovely Lamb security blanket is a plush blanket that is super soft. Personalize this with child's name for $5.00!